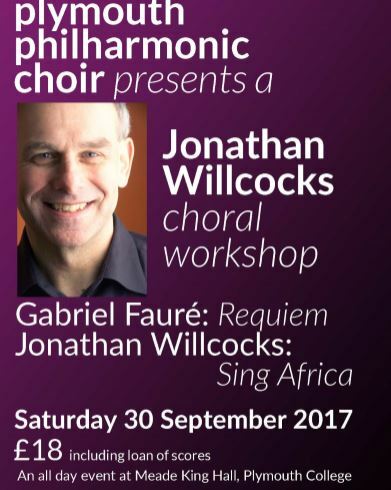 Jonathan Willcocks will be conducting a choral workshop on Saturday 30th September hosted by the Plymouth Philharmonic Choir at Meade King Hall, Plymouth College. Tickets are £18 and the booking form can be downloaded by clicking this link. This entry was posted in Faure, Uncategorized, Willcocks Jonathan.